Garage mechanics and home hobbyists who are looking for a top quality floor jack don’t need to look any further as we now carry the popular CompaC jacks. These jacks are truly top of the line. One look at them and you will see the obvious quality and attention to detail. Now we already carry some fine hydraulic jacks from several different manufacturers such as AFF, Ranger, Zinko, Omega and Hein Werner, but in our opinion, these could be the very best we carry. They are manufactured in Denmark by a company that is known for quality. Europe has known their fine products for over 60 years, and now they are finally brought over to our shores so that USA customers can see for themselves the proven products that they offer. Quick lift pedals, low profile saddles and U Joint release mechanisms are standard on most models. There’s a safety to prevent overloading, they have a high quality powder coat finish, and a comprehensive 3 year warranty. These jacks have a very precise lowering mechanism, which assures it won’t come crashing down when you are lowering the car. Beyond that, they have models that are great for low profile sports cars, as well as extra high lifting, long frame jacks. Plus, we are starting them out at some very low, introductory sale prices. Check them out if you are an aficionado of only the best products. 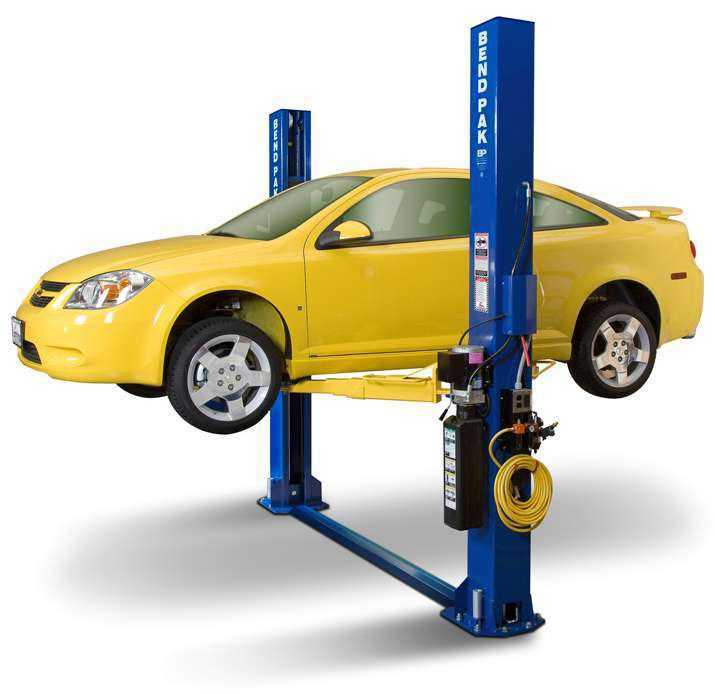 We often receive calls from customers who need to raise their car to perform service on it and they will sometimes interchange the terms Car Lift and Car Jack. They mistakenly believe the two term mean the same thing. They do not mean the same thing. A car lift raises the entire vehicle off the ground, meaning all four tires or wheels will be propped up off the ground. Car jacks raise the automobile one wheel at a time, or one axle at a time. If all four wheels are off the ground at the same time, there are greater service capabilities. Servicing the auto will also be much quicker as well on an auto lift. Jacks are more cumbersome to work with, and you won’t be able to raise the car as high as you would with a lift. Generally, the maximum lifting height for most floor jacks is in the range of 19 to 24 inches. You will need to get on your back while working on a vehicle while using a floor jack. Using a creeper will make it easier, but not nearly as easy as when working on a car that is placed on a full rise auto lift. Some lifts only raise the vehicle 26 or 48 inches. These would primarily be used for wheel and brake work, and body work. Full rise lifts, like a two post lift, raise the car to a comfortable working height so that you can actually stand under it. Reminder – You would always need to use jack stands when using a floor jack. Using a floor jack without a set of jack stands is taking a big risk for no reason. The amount of time it takes to set up a pair of jack stands is nothing compared with the potential hazard if not used. Many customers who call us never stop to ask us about the warranty of the product they are interested in. They will ask us about the features and specifications along with other factors. Of course the number one question as always is price. Some customers don’t seem to care if their Car Lift is made out of popsicle sticks as long as it’s cheap. We don’t understand that mentality. Especially if you’re the one standing under it. In our eyes, one question that should near the top of the list is, “What’s the warranty”? There are many different types of warranties for many different types of automotive equipment. 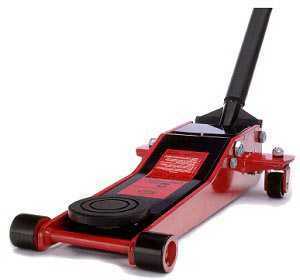 A typical floor jack should have a one year warranty at a minimum. Hopefully, the manufacturer is a reputable one and has service centers across the country and has a vast supply of parts. Many floor jacks these days are not rebuildable. As a rule, we carry only commercial quality products that are rebuildable. When your floor jack starts leaking hydraulic oil, you don’t want to have to throw it away when a simple set of $20 seals would make it good as new. Air Compressors can have warranties that Range from one to five years. Read the warranty carefully. Many times it’s five years on the tank, and only one year on all the other components. Some of the larger manufacturers will have service centers nationwide so you can be assured that problems can be taken care of quickly. Automotive Lifts can have a wide range of differing warranties. A lift warranty can run anywhere from 5 years (limited) to 1 year. Buyers should pay careful attention to the warranty. Does it include on-site service, (parts and labor) or parts only? Also, we’ve seen some manufacturers and distributors who’s warranty requires the customer to pay for shipping charges on any parts that need to be sent out during the warranty period. Who ever heard of such a thing? The advice to any prospective customers – Ask questions. If you want to be able to change tires, you’re going to need these pieces. There’s lots of money to be made in changing tires. Especially with the growing popularity of the low profile and high performance tires. Many auto shops don’t have the capability of handling these kinds of wheels, and that means more profits for those shops that do. And these are customers who are willing to spend their money. The main concern with a tire changer is you want to get a machine that will not damage the expensive alloy wheels. If you want to handle expensive low profile wheels and high performance tires, you need a mounting helper arm, or you’ll end up spending that extra money on replacing your customers rims that you damaged. Get a good reliable Tire Changer with a mounting helper arm for low profile tires and pair it up with an accurate dependable wheel balancer. Accuracy is paramount when it comes to a wheel balancer. You don’t have to get one with all the bells and whistles, but make sure to get one that is accurate and reliable. Every shop needs a Floor Jack. There are going to be times when your lift is being utilized for another job, and you need to raise a vehicle to service it. Or you have a disabled vehicle out in the lot and you can’t bring it in to your lift. Or maybe your car lift is being serviced or is down. Tips on obtaining the proper jack would include making sure the jack has sufficient capacity to fit a wide variety of automobiles. A 3 ton capacity jack is usually adequate for most vehicles. If you need to lift a full size pick up, you don’t want a light duty jack made for sports cars. By the same token, if you are servicing sports cars exclusively, you better have a low profile floor jack. One that can reach under a low profile sports car. Make sure your jack is able to raise the vehicle high enough as well. Some customers get a jack that only raises 19 inches and are disappointed to find out that a truck they need to lift must be raised 21 inches in order to get high enough to get the wheels off the ground. Also, make sure it is a commercial quality jack that is rebuild-able. If you can’t get new seals for a leaky hydraulic cylinder, it’s just a throw – away. Unfortunately, more and more jacks these days are throw-aways. Operating a floor jack may seem like second nature to most professionals, but many home / hobbyists may not know all the facts about operating a service jack even though they may feel confident that they do. Working with a floor jack is serious business. There’s a lot on the line. Your safety, and your car’s well being. Even though most home hobbyists feel confident using a standard automotive Floor Jack, you’ll often see on the news or in the papers a story about someone who was injured or killed because of improperly operating the jack. There is no reason this should ever occur. Even if a jack malfunctions, if you follow proper procedures, you will be completely safe when using proper safety procedures. 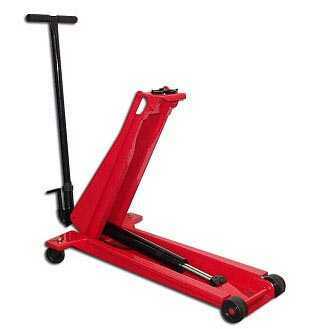 The most common culprit is not using automotive jack stands when using an Automotive Jack. No matter how much of a hurry you’re in, there is no excuse for not using jack stands. If you’re under the car performing service on it, and the jack saddle creeps down due to a leaking hydraulic cylinder, it will set the car down on your chest before you have a chance to realize it. And there is not much hope once this occurs, especially if you are alone. Operating a floor jack without also using jack stands is gambling with your life. Another frequent reason for accidents is improper placement of jack stands. Jack Stands should be strategically placed under those structural jacking points designated by the vehicle manufacturer. If you’re not certain that the placement of the stand is correct, do your research and make sure. You can typically find this information in the owner’s manual of the vehicle, or other reference material on the market. Another shortcut people take is they will use a car jack and stands on a surface that is not level. Obviously, when you get a flat tire on the side of the road, it is not always possible to get to perfectly level ground. Make sure the floor jack and stands are on a solid surface. Don’t use it on soft ground or surfaces that might cause it to sink once a load is placed on it. Keep hands and fingers free from any pinch points. Center the saddle on the lifting surface. If it’s off center, it could have a tendency to slip off. Make sure it’s in park and chock a wheel to prevent it from shifting. Inspect the jack for leaking hydraulic oil, cracks, or any other potential defects before every use. When replacing the hydraulic oil, make sure to use only the recommended oil. Keep the cylinder clean. If any dirt or sand gets on the piston, wipe it clean with a rag right away. If you allow dirt to remain on it while lowering or raising the jack, you could potentially harm the seals and cause a fluid leak. Follow these instructions and you’ll avoid any potential catastrophic mishaps and avoid being another statistic. Owners of vintage and classic cars have a routine each year as the winter season approaches. They must prepare their cars for winter storage. The warm seasons are over. All of the shows and meets are done. Now it’s time to put your pride and joy away for until next year. There are the common, obvious tasks that must be done. And some that are not so obvious. The most common and obvious task is to fill the gas tank all the way up to prevent condensation, and then add the appropriate amount of fuel stabilizer. With the introduction of ethanol several years ago, the concern with older cars is that their components were not designed to withstand the effects ethanol can have. If you can find access to a non-ethanol fuel, be sure to use it. This can be difficult in many parts of the country. The other obvious thing to do is disconnect the battery and make sure that you have a battery charger / maintainer hooked up to your battery to keep it from getting too low. It is important for the long term health of your car’s battery to keep them at full charge. You need a battery charger that is automatic, so it will turn on and off as needed. You don’t want a charger that will over-charge the battery, because that is not healthy for the battery. Antifreeze / coolants should be changed at the proper intervals. It is vitally important to use the proper antifreeze. It is not as simple as it used to be. You can’t just add the same antifreeze any every car. Green is different than orange. Most older cars will require the green coolant. Make sure it is at the proper mixture to water also. You don’t want it too concentrated, or too diluted. Check tire pressure as well. You don’t want low pressure for the entire season. This could lead too flat spots. Take care of your old car and it won’t let you down in the spring. So get it up on your Auto Lift if you’ve got one. If not, pull out the Floor Jack and get it up on jack stands this weekend. This is not the type of work you should put off. ASEdeals.com enjoys a wide variety of customers and we have seen a customer base that comes from a myriad of different industries over the past 14 years. Whether it’s an Automotive Lift, tire changer, floor jack, air compressor or tool box, we’ve seen all kinds of different customers. From Schools and government agencies, including the military, to home / hobbyists and car collectors, and car dealerships and fortune 500 companies. Louisa County Public Schools purchased a BendPak alignment lift. Metropolitan Education District in San Jose, CA purchased a BendPak four post lift and a Viper AF3250 Coolant System Flusher. The City of Holstein, IA fire department purchased an RTI exhaust vent system. Continental Airlines purchased a BendPak PL6000 single post parking lift. Boeing purchased a Ranger RJS-2TH tall jack stand. The Town of Hempsted, NY Sanitation Dept. purchased a Ranger RTJ3000 transmission jack. The Ohio Division of Watercraft purchased a Dannmar D7 Four Post Lift. Bradley Chevrolet in Parker, AZ purchased a Ranger RD20SE oil drain. Stevens Creek Hyundai in Santa Clara, CA purchased a JNC660 jump starter. Yuba Community College District in Marysville, CA purchased a Workhorse MSC-6K Portable Car Lift. Ashland Community & Technical College purchased a Ranger CRT-380R Alignment Machine. US Marine Corps. 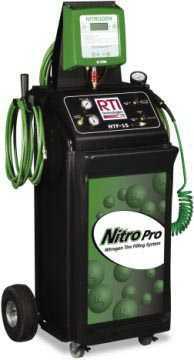 in Cherry Point, NC purchased an RTI NTF-15 Nitrogen Tire Filling Machine. These are just a few of our more notable customers over the past 30 days. As you can see, there is a wide variety of customers.